Lithium-ion power battery has become one of the main power sources for electric vehicles and hybrid electric vehicles because of superior performance compared with other power sources. In order to ensure the safety and improve the performance, the maximum operating temperature and local temperature difference of batteries must be maintained in an appropriate range. The effect of temperature on the capacity fade and aging are simply investigated. The electrode structure, including electrode thickness, particle size and porosity, are analyzed. It is found that all of them have significant influences on the heat generation of battery. 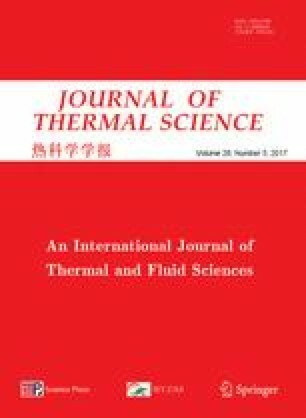 Details of various thermal management technologies, namely air based, phase change material based, heat pipe based and liquid based, are discussed and compared from the perspective of improving the external heat dissipation. The selection of different battery thermal management (BTM) technologies should be based on the cooling demand and applications, and liquid cooling is suggested being the most suitable method for large-scale battery pack charged/discharged at higher C-rate and in high-temperature environment. The thermal safety in the respect of propagation and suppression of thermal runaway is analyzed. This Research was Supported by National Natural Science Foundation of China (No. 51376019).